Comme autrefois dans la nuit sombre , a setting by Eugène Cormon and Michel Carré, was composed by Georges Bizet in 1863 (F Major) and premiered the same year. This aria is part of Act II of the opera, Les pêcheurs de Perles. Bizet is barely 25 when he composes Les pêcheurs de perles. Back from three years in Italy at the Villa Medicis after having won the renowned composition prize, he is faced with the difficulty, as a young composer, to convince any opera house to take on his works. Le Théâtre lyrique eventually asks him for a new opera and offers him “Les pêcheurs de perles” as a libretto. Sadly enough, his collaboration with renowned writers of the time, Eugène Cormon and Michel Carré did not lead to success. The libretto was considered boring by the critics and Berlioz was the only one to praise the expressiveness and colors of Bizet’s music. Act I opens on fishermen feasting. They chose to elect Zurga as their leader and Nadir, his childhood friend joins him. They recall souvenirs and their mutual promise to never try to obtain the love of Leïla, the priestess they both fancy, to preserve their friendship. The boat, with Leïla in it, arrives at the beach. In front of Zurga, she promises to always protect the village with her prayers and songs and to always stay a virgin. The ceremony ends and she heads towards the temple to perform her chants. Nadir, recognizes her voice and decides to follow her. Act II opens on Leïla resting at the temple. The great priest arrives and expresses his doubts on Leila’s’ trustworthiness. She tells him how, one day, she risked her own life to rescue a stranger and how, to thank her, he gave her a pearl necklace. Alone again, she sings of her love for Nadir, and her hopes of seeing him again in her aria: Comme autrefois dans la nuit sombre. 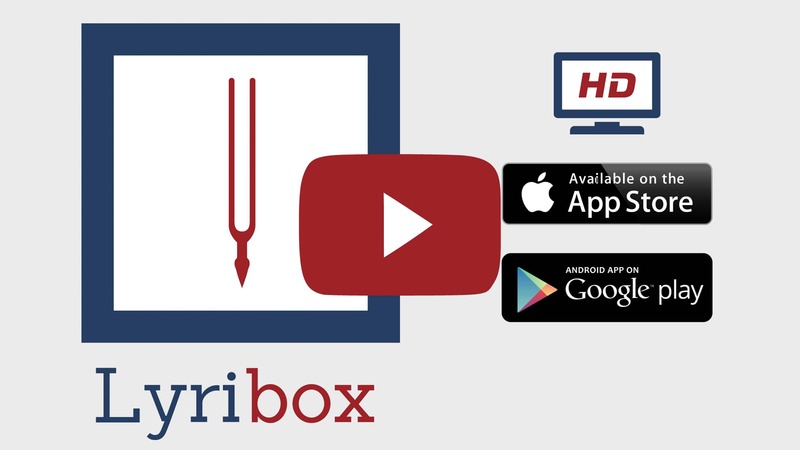 Lyribox, the popular online platform for classical sheet music, accompaniment and ipa translations brings the best by G. Bizet by offering the sheet music, accompaniments and translations to the fans gathered around the site, for the best price that could be found online. The sheet music, accompaniments and translations provided by Lyribox for are of highest quality and accuracy. Comme autrefois dans la nuit sombre originated was composed by Georges Bizet . The original lyrics are in French. The melodious note arrangement of Comme autrefois dans la nuit sombre ranges from pianissimo (very soft) mellow notes to forte (loud) notes carrying the player and the audience through an array of vivid emotions. The sweet soft beginning of the music piece gradually increases and decreases the loudness in smooth transitions. This music piece is decorated with phrases, slurs and an arpeggio. A perfect composition for piano players to try with an intermediate knowledge in music. Students can make use of this sweet music piece to improve their knowledge in music expressions, ornaments and sight-reading, while all music lovers could enjoy this brilliant extract whole-heartedly. Comme autrefois dans la nuit sombre sheet music produced by Lyribox is clear, precise and is transcribed in English by Lyribox. By purchasing Comme autrefois dans la nuit sombre sheet music from us, you can simply sing along as you play this masterpiece on your piano. Unlike many sheet music sold online with all black notations, sheet music we offer you is marked using three distinct colors. While piano notation is illustrated in black, the music expressions and the lyrics are given in red and blue respectively. Get Comme autrefois dans la nuit sombre by G. Bizet sheet music from Lyribox today to enjoy and share this wonderful music composition with your friends and family. Comme autrefois dans la nuit sombre piano accompaniment is offered by Lyribox is mellow and smooth. It feeds the poem an underlying pulse, adding a sense of propulsion to it. Meanwhile the vocal line flows in a dreamy leisure manner forcing the audience into a calming and languid mood. The vocal line of Comme autrefois dans la nuit sombre by Lyribox has the potential to provide slight pitch support for the voice’s sometimes unusual intervals, enhancing the fullness of it. This accompaniment is not at all demanding. Using these rich Comme autrefois dans la nuit sombre accompaniments you could create one of the most brilliant performances that is pregnant with layers and layers of expressions. Purchase the Comme autrefois dans la nuit sombre piano accompaniment together with the vocal line accompaniment from Lyribox today!